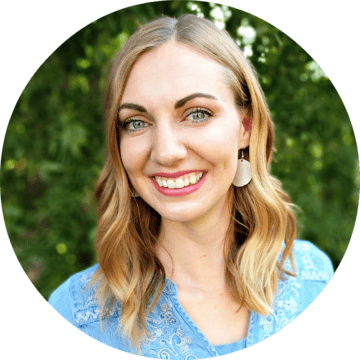 I think of myself as a beginner quilter, but my experience using the Cricut Maker and Riley Blake Designs makes me feel like I’m an expert. It has come so easy and the cutting process was much quicker than I expected. 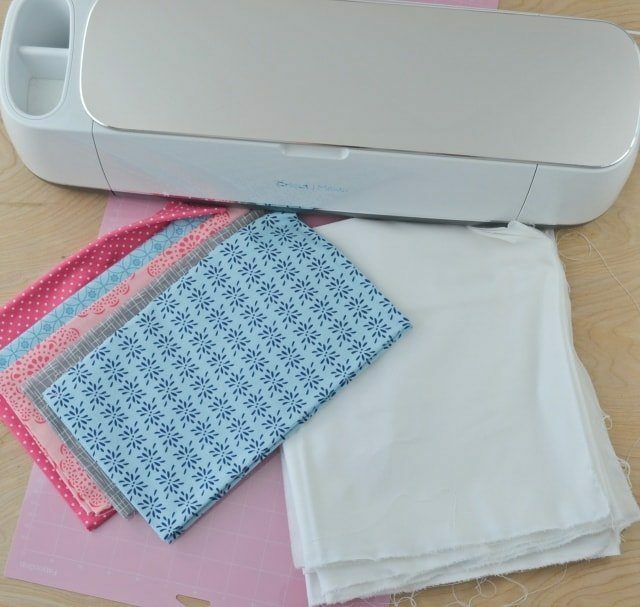 Let’s learn how to cut a quilt with a Riley Blake Designs pattern and fabric on the Cricut Maker. I have already planned the design and colors of my quilt. I wrote out what the original colors were and what my new colors were. Then I wrote out how many pieces needed to be cut for the new design and what order the cutting layouts were so that I wouldn’t get confused during the process. I found that I would have nine mats that would need to be cut. There were be six single layer mats, two double layer mats, and one triple layer mats. I gathered my fabric to be cut. 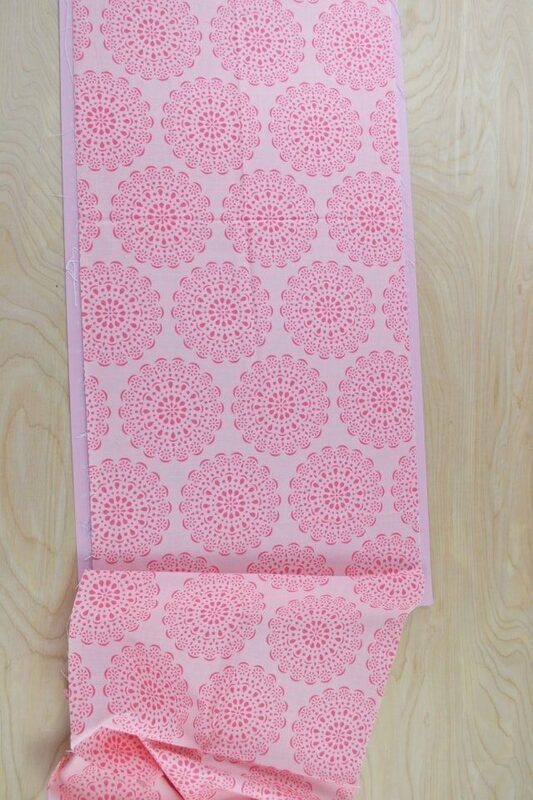 Two 12×24 Fabric Grip Mat* – you can cut faster when you can work on one mat while the Maker cuts on the other mat. 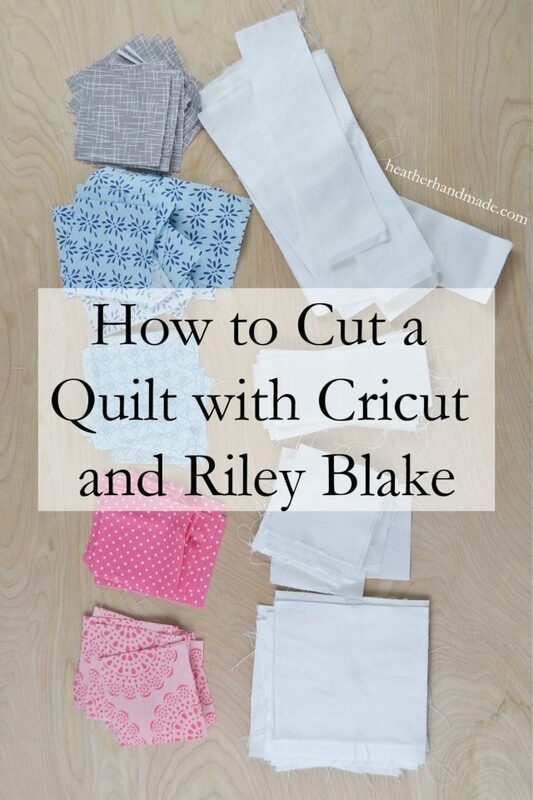 To start you need to cut your fabric to the right size. 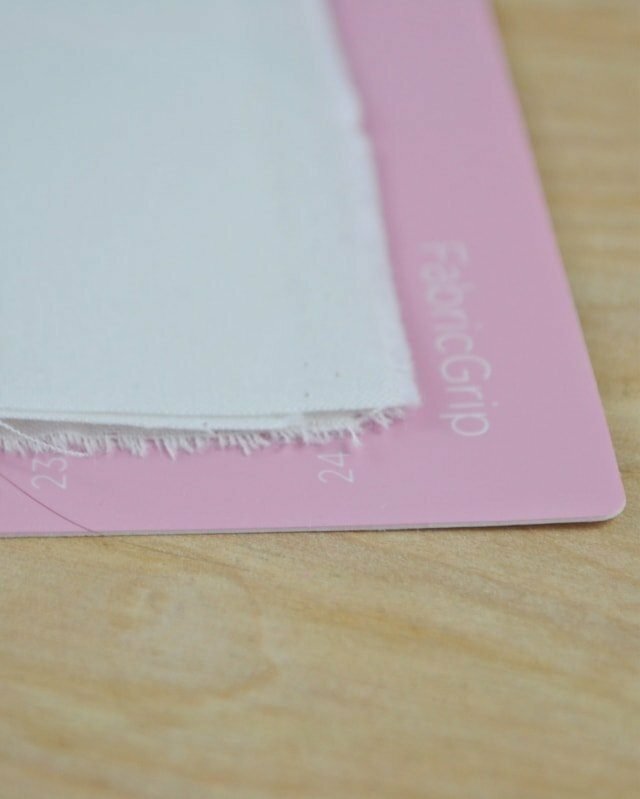 Most of the fabrics come as a 1/3 yard cut which is the exact width of the Fabric Grip Mat. Any fabrics that were more than 1/3 of a yard, I ripped to get the right size. I prefer ripping because (I sew apparel) it’s so fast, and you get a really straight line. I placed and smoothed my fabric on the mat, but I didn’t trim off the extra so that I could conserve the fabric. Follow the instructions in Design Space to cut out the fabric. 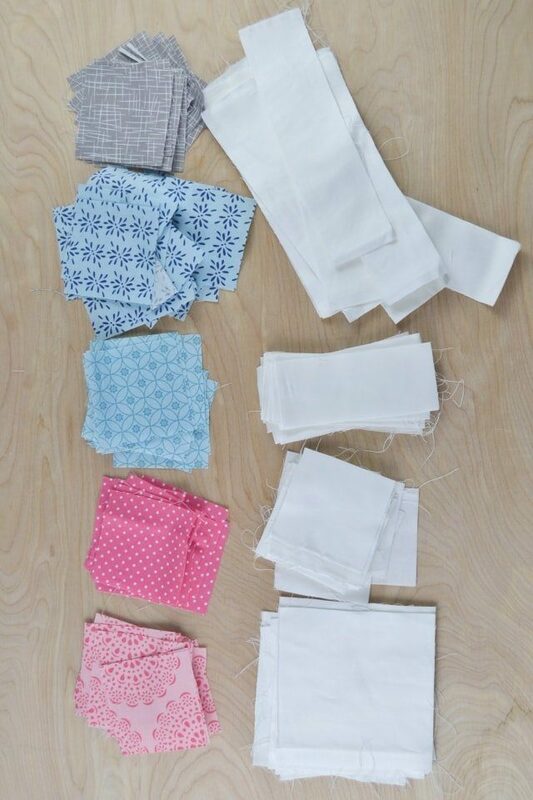 I carefully followed my list of fabrics to cut out, so that everything would be correctly cut in the right order. If you change any color at all, I recommend writing out a list so you don’t make any mistakes. 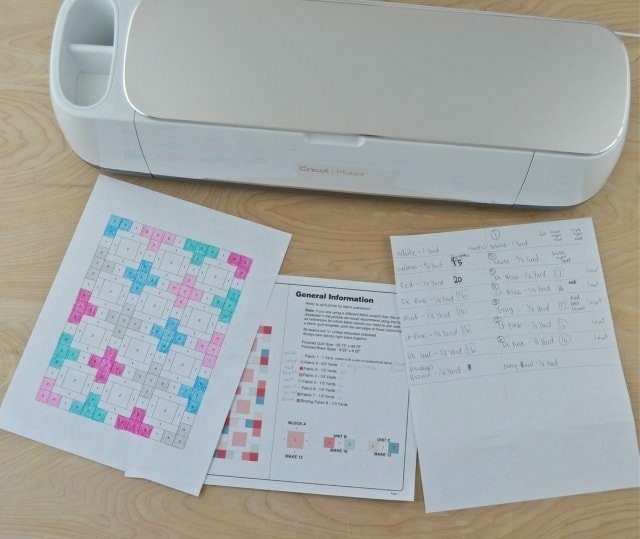 While the Cricut Maker is cutting out your pieces, prepare your next mat. Your next mat will be ready once the current mat is done. It makes the cutting process much faster! Once you get in the rhythm it goes really fast. I technically went a little slower because I was taking pictures and filming during the process. 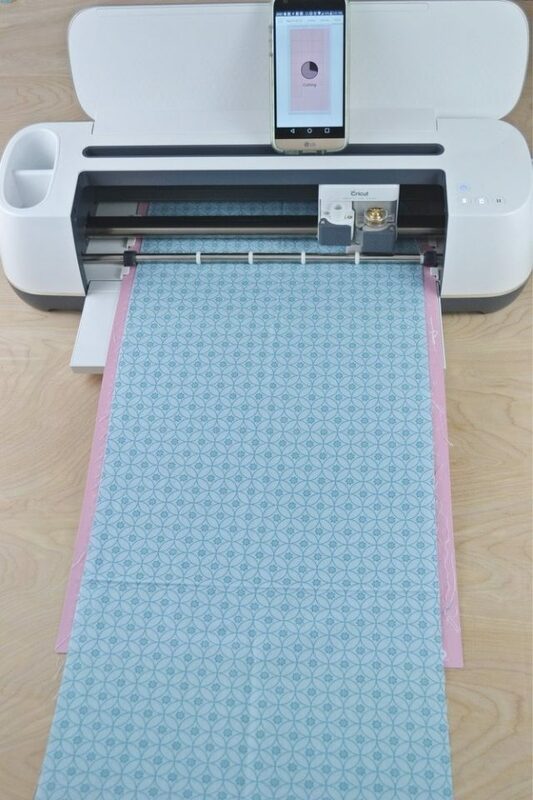 If I wanted to give a quilt as a gift I would definitely cut it out with the Cricut Maker to make it go fast. I did not have to clean my mats during the cutting process. I got a lot of threads on my mats, but they were still sticky enough to use. I think it helped a lot that I was switching between two mats. 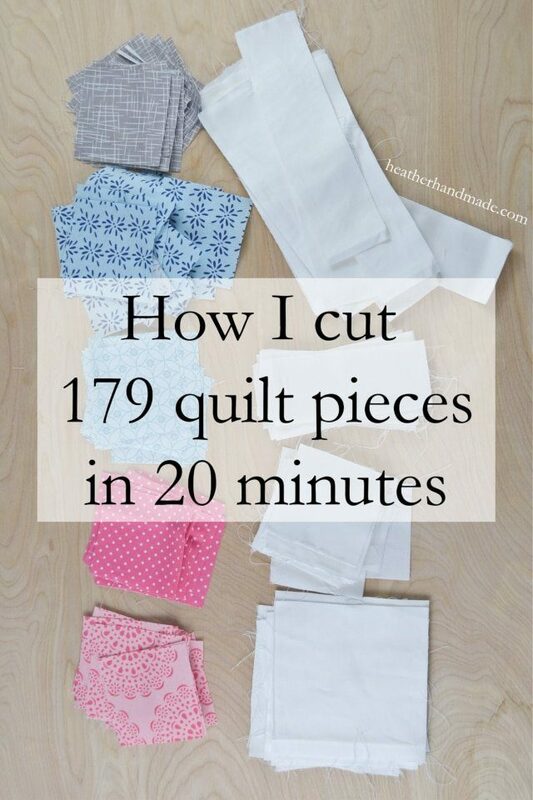 I ended up cutting 173 quilt pieces. I cut nine different mats: six single layer mats, two double layer mats, and one triple layer mat. I did 5 mats of colored fabric and the rest of the mats were white fabric. Each mat took about two minutes to cut. 2 minutes multiplied by 9 mats with some cushion time thrown in equals 20 minutes of cutting. If I had any sort of wrist or hand problems it would be really hard to cut all these pieces. I only had to cut one extra square by hand because I changed the colors around. 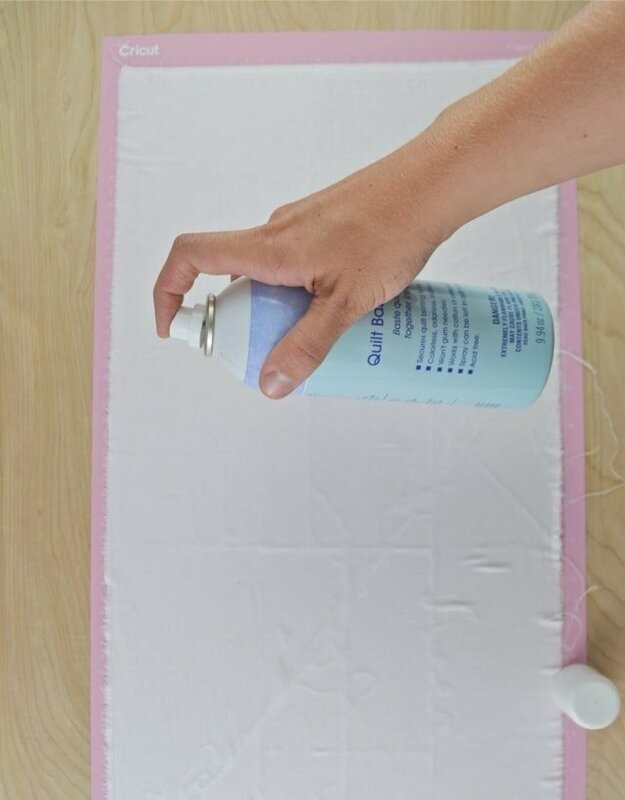 Place and smooth one piece of fabric and put it onto the mat. 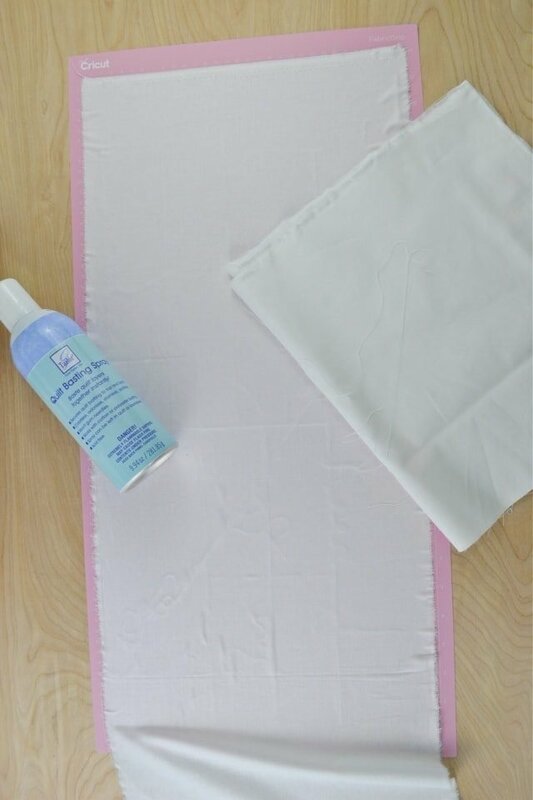 Grab your Quilt Basting Spray and spray the fabric on the mat. Place and smooth another piece of fabric over the first fabric. Spray another layer of Quilt Basting Spray on the fabric. Place and smooth the third layer of fabric over the second fabric. Cut the fabric in the Cricut Maker. 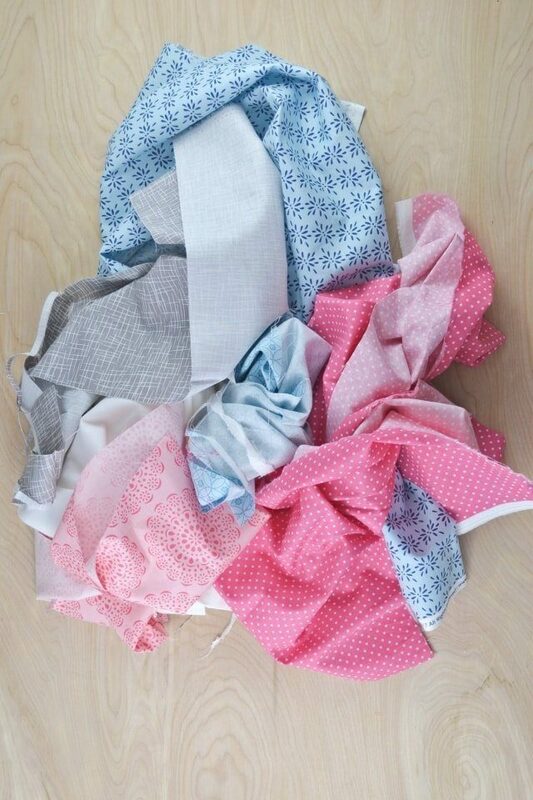 After cutting out all my quilt pieces this is how much fabric I have left. The colored pieces have a fair amount of fabric left, but the white was almost entirely used. I’m excited to use this extra fabric in another quilt! 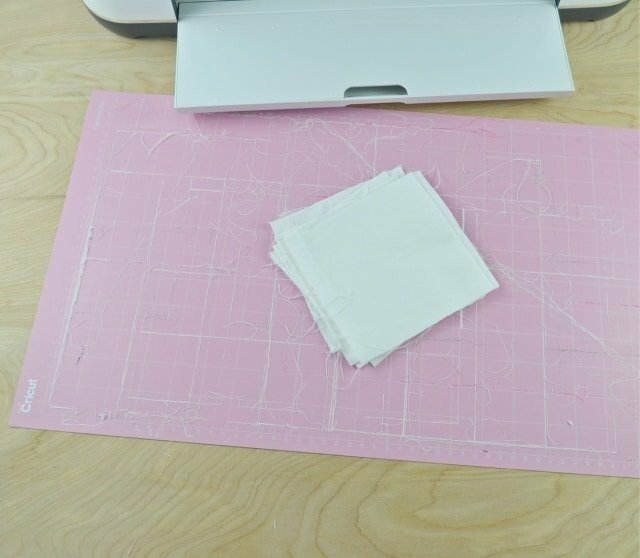 How fast do you cut out your quilt pattern pieces? It would work if you have a digital file of the quilt pattern. Then you could change the pattern into a png and import it into design space. If you have a pattern from a book you could do each shape from the quilt and manually change the size to be that same in the book. Does that make sense? I would love to do a tutorial on this but I don’t know if Cricut will allow it because of the pattern rights?